After RV's are a few years old the black tank level gauge often stops working or is stuck on a certain level. Here is how to fix it in most cases. First you should determine if there really is a problem with the gauge. Fill the tank to the top and note the level on your tank monitor gauge or information center. It the level has not moved, empty the tank and check it again. This will require that you are in a campground and hooked up to sewer. If the level still has not moved then proceed to the next step. Fill the RV black tank up to just over one half full. You will have to look into the toilet to see the level. 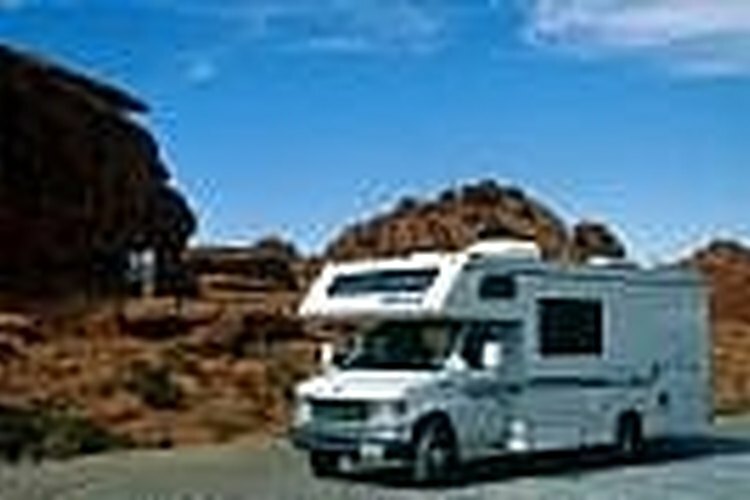 If your toilet is designed so that you cannot see into it you will have to find out the size of your RV's black holding tank from the literature that came with your RV and use a 5 gallon water jug to measure the amount going into the holding tank. Get six to eight regular sized bags of crushed ice. You will want to break up the ice in the bags as well as you can by gently bumping the bags against the floor. With your vehicle hooked up to the trailer and ready to move, pour the bags of ice into the toilet. RV level gauges are usually a type of flat sensor or pair of rods that measure conductivity. Waste will accumulate on the black tank RV level sensor and it will show the same reading all the time. What you are about to do to fix the black tank level sensor is to rough off the debris with the water and ice as you drive. Choose a route that you know will involve lots of stops and starts, inclines and turns. This will allow the water and ice mixture to slosh around and clean the sensor. Do this for at least an hour until the ice has most likely melted. Drain the tank at your first opportunity and see if the level gauge goes down. If this does not fix the problem you might try it one more time but after that it is time to see your RV dealer to fix your black tank level gauge.